Climb Online @ Climb Digital – Thank you Apprentice. It was last on a Sunday evening before Christmas when my phone received a text from a friend.. So i initially jumped on the PC and checked, WOW my hits was going through the roof from an average of 30 – 40 per day to over 6000 and climbing.. So why was this happening i asked myself surly an online marketing expert such as Mark Wright would do a simple background check on a domain name and even a company name before he would jump in and name his business. Maybe not. So just to say thank you to Mark Wright and Climb Online.. If you fancy a chat just give me a call..
After two years with my existing website, I wanted to have a website which reflected the work Climb Digital do as a company. I have no problem saying we have one of the best websites on SEO block! Just kidding (although it’s still pretty great!). I would like to take credit for it, however it was down to Ross our designer who made it what it is today. As design, usability, content are increasingly a part of SEO (as if the users don’t like it, then ultimately the search engines are there to help the users) then I thought an insight from the designer behind the process of redesigning a new brand in the search marketing agency market. 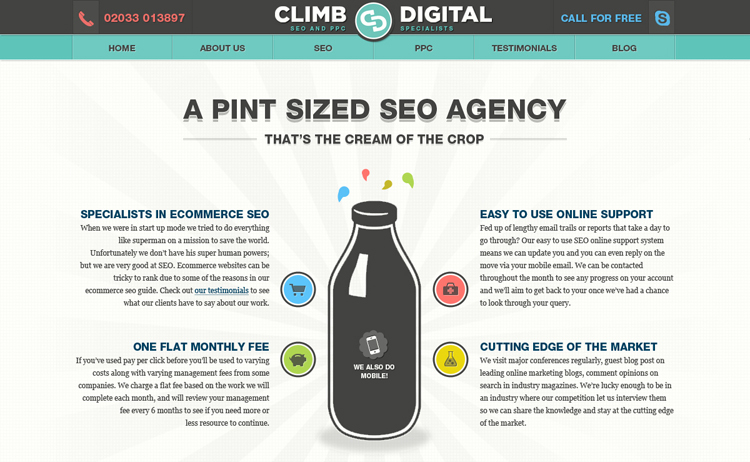 MC: What was your view of SEO as an industry before you started designing the Climb Digital website? RM: I have always thought of SEO as a very difficult industry to be in. My perception was, and still is that the goalposts are constantly being moved by the likes of Google and other Search Engines changing their algorithms and the way they rank websites. I imagine it keeps you guys on your toes! I also think there was a bit of a dark cloud over the industry at one point because of the “blackhat” methods some SEO companies used and the general public not really understanding such a young industry. Now though I think the skies have cleared and the future is bright thanks to the Search Engines being quick to punish sites using these techniques and peoples view of SEO changing, realising it isn’t all just sneaky tactics some people use to get higher rankings. MC: What was your approach to the redesign Ross? RM: After discussing the brief with Mark, it was the clear that the website needed to be visually interesting throughout. We wanted to achieve this without sacrificing readability, and keep in line with best practices for conversions where necessary. The website is influenced by Infographic design and often breaks up large sections of text into easily digestible chunks and graphics that won’t scare off readers. As the homepage is very important for Climb because it is where a lot of potential clients will land as a first point of contact, I decided to tackle that first. 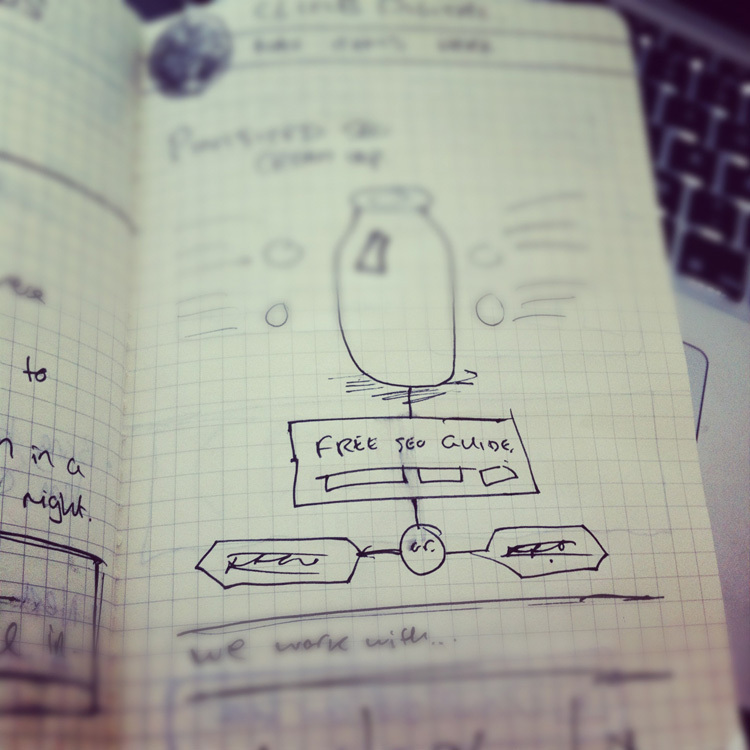 The design process started where it always does for me, in a sketch book. I make very rough (and when I say rough I mean I’m hardly looking at the page and they’re barely legible), quick sketches of how the page could be laid out with the content we have. It’s very important to always design around the content. Content is key! If you’re trying to design a website that doesn’t have any content yet, you aren’t designing a website. You’re just making a pretty picture in photoshop that happens to look like a website! When I had a couple of options I felt were working I took to Photoshop and merged a few sketches together to make the final layout. 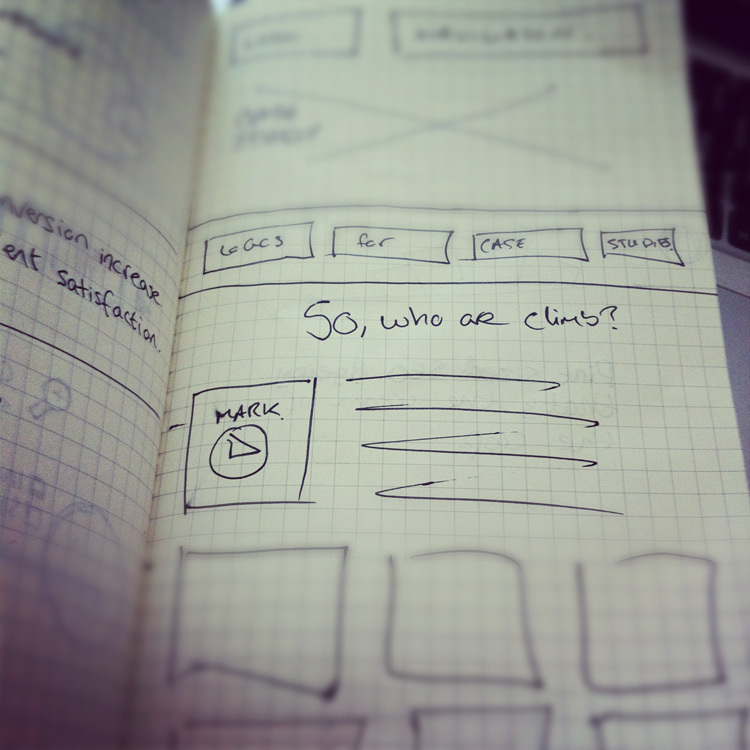 Even a solid wireframe usually has to be tweaked when you get into Photoshop. The next step was to create the colour palette to use throughout the site. The Climb brand makes strong use of Teal so naturally this was a great place to start with the website. I also introduced cream, a dark grey, dark blue and a nice shade of red. When both Mark and I were happy with how the homepage looked, the tone it set and the colours and positioning of important features (such as calls to action) I branched out into other pages of the site, and the sketchpad came out again! MC: How did you integrate social media to the site compared to other websites you’ve designed? RM: Social media is obviously very important for Climb, and being a digital agency that makes perfect sense. As with a lot of sites these days, a Twitter feed and a link to Facebook or LinkedIn are never far away, but we took it a step further by embedding a lot of really useful ￼videos that Mark has put together with a focus on SEO and the industry Climb is in. Climb also encourage clients to use Skype for communications, with a “call me” button prominent in the header of every page. MC: Why did you opt for longer pages? MC: How did you design the new website to be centered around conversion rate optimisation? RM: At every stage in the design important features and calls to action were placed where users are going to see them. They also use contrasting colours that really stand out on the page to catch the users eye. Even the shape of the buttons is unique in the design of these elements, and is the only place on the site you’ll see those shapes being used. MC: Why was each page individually designed and what was your approach to each page? RM: Each page was individually designed because each page is individual! Obviously the content on each page of a website is different, and as we had decided early on in the project that the website was to be very graphically driven, designing each page individually was really the only option. I looked at the content for each page and creating graphics, backgrounds and calls to action where appropriate to keep the viewer interested and to help them quickly find what they were looking for. MC: The blog page in particular was designed with a different style to the rest of the website, what was your approach here and why? RM: While the design is different, the blog uses a lot of the design styles already established by the website, but takes a new, individual direction using a different (but complementary) colour pallet. The blog is its own entity and I wanted to establish it as such while keeping the Climb brand strong. A blog is a very specific type of website, and the design has to take this into account. You have to focus on articles, pagination and archives, things not found on the rest of the site. MC: How did you include a good amount of textual content for SEO and still keep users wanting to read the content? RM: Mark has written some great content for the site, so I was never short of text to use. The challenge was to keep the layout interesting, while still being easy to read. I took into consideration everything from font size and typeface choice to the number of words per line that is most comfortable to read. It’s the small details like that which keep people reading on. No one wants to strain their eyes staring at a wall of text! MC: What was your approach to the Content guide? RM: I approached the content guide in much the same way as the website but with an even greater focus on short paragraphs of text accompanied by a large graphic. It was very influenced by infographics and that style of information design. The sketchbook as always comes out first. I reviewed the content guide Mark and written and made doodles and sketched out ideas for page layouts as I went along. I had to keep in mind that this was going to be in a .pdf format and likely printed out by people who have downloaded it, so it was designed at A4 size. MC: If you were to do it again, would you do anything differently? RM: No I don’t think I would. I’m very happy with the outcome of the website and how Mark and I worked together on the page designs. We used project management website Teambox to stay on top of everything, and I followed my regular workflow which I’m comfortable with. It was a great project to work on and refreshing to have a client so organised (MC:thanks Ross I’ll pay you later for that). MC: What keyword would this website rank for to show off your awesome design skills? RM: I think the website does a great job of showing an ability to stay creative and consistent, while still giving each page its own personality. I’ve designed 14 pages in total for the Climb website yet if you landed on any one of them, you’ll get a good feel for the company. And as you navigate around the site each page will feel familiar, yet fresh. It’s a fine line and a tough balancing act sometimes, but I think this site does a good job at showing how well this approach works if you get it right. MC: Lastly I know you recently did a project with Google, tell us a bit about what you did? RM: That’s right, it’s called Aces Hangout and it’s an online Poker game using the Google Hangouts platform. So you can see the people you’re playing against, just like a real game. What we’re trying to do is bring your home game online. It’s been a lot of fun making. At first Google weren’t involved, but when they saw what we had done with the Hangouts API they were pretty impressed. We were miles ahead of anyone else and they decided to make us the #1 featured app for Hangouts. And the only game to appear in the features list (at launch and time of writing at least). I was responsible for the graphic and UI design of the game. As well as the website Aceshangout. It was a lot of fun and presented a lot of design challenges. Everything from where to put the user controls, to trying to fit a good sized Poker table and webcam on the page with such a variable sized canvas. It’s given me a real taste for designing games and I hope to create a lot more in the future. Thanks Ross. Readers what do you like about the website? Leave your thoughts in the comments below……..
2011 was the year of identifying bad practice in SEO, shown by the shady link practices of overstock.com, they managed to get university and colleges to link to them by running promotions of promised discount for the links which in January saw them being penalised by Google very publicly. Something Google did weeks earlier with another large retailer who were ranking higher than some brands due to their intense black hat link building, J.C. Penney ….. Slap wrists, Happy new year! Google responded again in late January with a small update to the Algorithm to help eliminate some of the content which was being copied and duplicated without the authors knowledge (aka scraping) and also to stop some high profile content copying cases from happening again. Probably the highest profile was the German defence minister at the time, Karl-Theodor zu Guttenberg. He had copied large chunks of text from the graduate doctoral thesis. This Google update affected around 2% of search results overall. 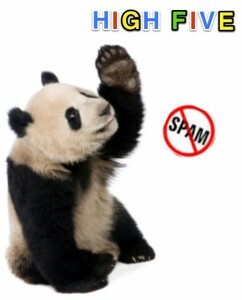 Late February saw Google start to release the major algorithm update, Panda, in the US only. Google stated it affected up to 12% of search results when they released it. The Aim of Panda? To eliminate bad practice in SEO, rewarding the original high quality content providers who work on bettering and providing reliable and of course, important content throughout each page on their websites. The Panda 2.0 update hit Europe and the rest of the world in April, this included data about sites that had been blocked by users via the SERPs directly or via Google Chrome and new signals were also integrated. This was shortly after Google added the “+1″ button to SERPs, this allowed users to influence search results within their social circles which affected both the organic and paid search results. May 2011, what’s this? Panda 3.0? “No, it’s Panda 2.1 because it has minor changes in comparison to Panda 2.0”. Google were very sly with this release as they did not reveal any details nor did they release a percentage of queries impacted by the change. Responding to competition yet again, “Google+” hit the world in late June which saw an influx of over 10 million users in just two weeks! It just shows how much power they have when it comes to change or releasing a new product. Oh yea and another Panda update, 2.2 was released with an aim to nstrate the ranking factor as a prime objective of the update. Panda 2.3 was a minor update adjusting certain attributes to the previous release. August saw Google release, on a global scale, the fully blown Panda 2.4 update which hit the entire world and updated all SERPs English and non English queries except for Chinese, Japanese and Korean. 6-9% of queries were affected in the relevant countries and expanded site-links were also officially rolled out, starting with 12, Google then limited the expanded site links to 6. September bought us Panda 2.5 which apparently was a minor update, again with no details but some sites reported large-scale losses after this was rolled out. Pagination created some problems with crawl and duplication issues which were fixed by some new attributes (rel=”next” and rel=”prev”) and an improvement in automatic consolidation. November…… Panda 3.1! This is the update which Google announced affected 35% of search results!! With the largest share of search result population in the world this was BIG. Google ended the year with new query refinements, parked domain detection, recent content detection and image search freshness updates as well as announcing on to expect changes every month in their endeavour to eliminate the spammers and content copiers. 2012 looks to be an exciting year for SEO, as it moves closer to being the most important part of inbound marketing affecting all aspects of a business’s online presence. Long live Best Practice! I applaud Google in their bid throughout 2011 to provide richer search results and eliminate the content farming, spamming sites we see so frequently. After all, if it was too easy businesses would not a need an SEO expert. Instead the SEO expert is now becoming more and more the most important role in marketing as it has a say on the web presence, brand strategy and the content demands ensure a consistent amount of freshness is required to be in the top results. Looking forward to working hard for it in 2012! In my last post (Pay Per Click Agency v In House Debate Part 1) I mentioned that there are advantages and disadvantages to managing your PPC campaign in house and hiring a pay per click agency to manage them. Ultimately I believe it is the people who are managing your campaigns that matter, regardless of whether they’re from an agency or your in house teams. However, here are some advantages to both approaches to PPC management. An agency is likely to have the experience of working on many campaigns. This experience can be invaluable in ensuring the success of your campaigns, because, using established techniques can help your ROI in a shorter period of time. Furthermore an agency is likely to be experienced at handling a number of campaigns at once, which can benefit your business if you wish to promote multiple brands at the same time. Employing someone full time to manage your campaigns in house means paying them a full time salary. Hiring an agency can often be the cheaper option. Digital marketing agencies can often offer multi-channel marketing so they can manage your PPC, alongside your SEO, social media and email marketing. 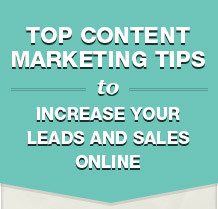 This approach can help save time and money because managing all your marketing activities. Due to the fact that you are “hiring” an agency, it is in their best interests to deliver the best possible service, because they will be (or they should be!) well aware that if they don’t deliver you can easily move your campaigns elsewhere. Your employees are the best placed to fully understand your business goals. Some bosses don’t like to use certain words such as “cheap”. Your employees will know not to use these words, so saving annoying the boss. In addition to their knowledge of your business goals, your employees are best placed to cover every angle relating to your products and services. Plus, if their performance is based on the performance of your campaigns they’ll be eager to maximise your PPC results. Employing someone full time means they’ll be dedicating their attention to just your campaigns. An agency account manager often has multiple clients to look after. As with most things there are advantages to both approaches to PPC management and ultimately what is best for your business is down to the personal preferences of the decision makers. The results will determine whether the approach you choose is working and if one doesn’t work it is very easy to try the other.